Snakes scare you. Small and thin, long and thick, green, orange, yellow, black or brown, they are terrifying. Of course that you desperately want to find out how to get rid of snakes safely in your house and in your yard. Well, I’m not going to tell you to cast a spell against snakes and draw a magic circle around your house and yard (sorry to disappoint you, Harry Potter fans, I’m not a witch). But I will present to you 6 facts about snakes, 8 preventive measures, and how to get rid of snakes in 7 safe ways. You can find snakes in your yard or garden, inside your home, garage or basement, under a shed or deck, and even in your outdoor pool. Snakes are carnivorous, but not all of them are venomous. In the United States live about 125 snake species, and only 20 of them are venomous. They “smell” the prey with their forked tongue. They prey on living creatures, small or big (depending on the snake’s size), usually on rodents, birds, frogs, big insects, and other reptiles. Snakes can eat a body three times their size! That is possible because their jaws are able to detach from each other. Learn what types of snakes are in your area, especially the venomous ones, so you know when to worry and when not. Although, if you’re afraid of snakes, it won’t matter if it is venomous or not, you’ll be scared anyway at its sight. Tell your whole family about the snake types in your area, how to react, how to protect themselves, and what to do when they see one. They like to hide under the rocks, wood piles, leave piles, scrap metal, trash, debris, in the high grass and shrubs. So, eliminates from the beginning any possible places where they would like to hide and live. Mice, rats, crickets, slugs, and other insects are the favorite food of snakes. It is logical that if you control and limit the spread of these pests in your yard, it will be unlikely to have snakes. They would have no food and leave, looking for a food haven. Many snakes prefer cool, dark, humid spots, so take measures to eliminate these damp areas where they would hide. Drain puddle and small ponds inside your property. Snakes don’t wait for an invitation to get into your house. They’ll surely find a tiny little crack under your door to sneak in. So, each spring, early on, before nature begins to blossom, inspect your house for any gaps, cracks, and possible entry points. 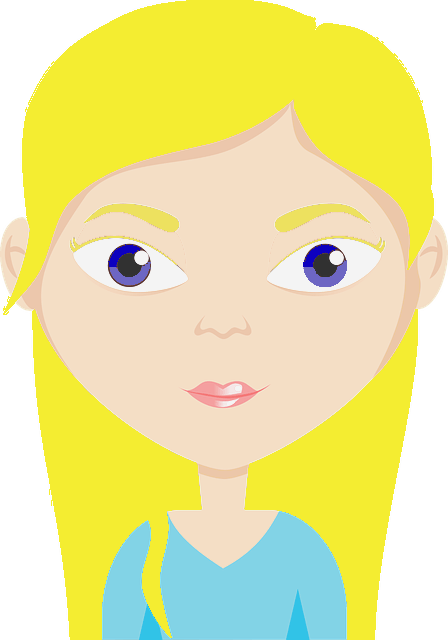 Check under the doors, windows, drains, and vents. Cover all your HVAC, dryer, kitchen and bathroom vents with protective screens. What attracts snakes in your house? Well, maybe a few get in there by accident. But obviously, snakes come for food. While they don’t care for burgers, pizza, bread crumbs, corn, sugar, or wheat, they do have a thing for rodents. That’s their snack. So, if snakes keep coming to your house, warehouse, or garage, this may be an alarming sign that you have mice or rats in there. Instead of setting snake traps, you would better find natural ways to get rid of rodents, first. This will also solve your snake problem, and since their favorite meal is no longer served in your house and around it, they will stop coming back. Install a fence around your property (hardware mesh or chicken wire) to keep out snakes, even the small and thin ones. This way you will surely keep away snakes from your property. Protect the space underneath your deck and porch in the same way. ​Use 1/4-inch mesh, as the usual 1/2-inch mesh can let a small snake through it easily (including baby rattlesnakes). If you grow chickens, ducks, turkeys, or rabbits near your house, make sure they live in an enclosed, secure place with no holes and cracks in fences, so no snake can sneak in. While they won’t eat your animals, they love eggs. You could also install a mesh fence around your animal enclosure. 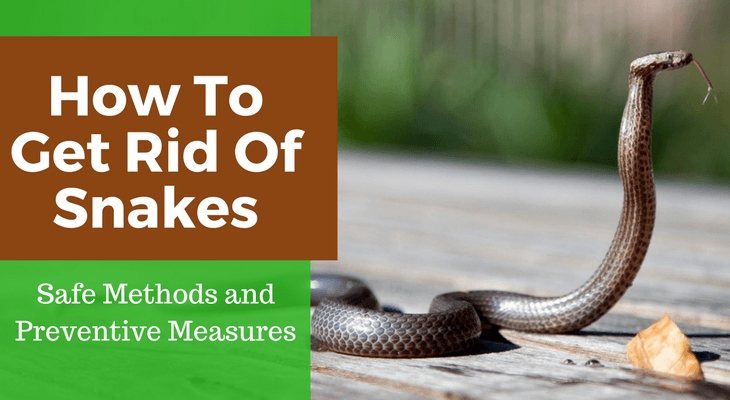 There are no such things as home remedies for snakes (you can’t make a repellent herbal tea or cupcakes snakes and host a 5 o’clock goodbye party for them), but there are a couple of methods to get rid of them around the house and even inside of it. Set a Snake Trap - Snap! Yes, if you didn’t know it, there is such a thing as a snake trap. Of course, these are good when you have already spotted more than one snake in the area. Best snakes baits are eggs. Glue traps are very effective to catch snakes. However, if you have pets, it might be a problem, as they can get trapped instead. And then you have to get through the horror or ungluing your pet (which is not an easy task, believe me, I’ve been there). True, it’s actually a fish trap, but it proved so good in catching snakes, too. It has a funnel that narrower and narrower, so the snake can get in, but not out. Use eggs as snake bait. Another compassionate trap (won’t kill or harm the snake). It’s a narrow tunnel made in wood that it too narrow to let the snake out again. Transport the wood out of your property (maybe out in the woods), remove the lid, quickly move away from it, and let the snake go out. The Wildlife Services, a program within the U.S. Department of Agriculture (USDA) Animal and Plant Health Inspection Service (APHIS) recommends the use of essential oils that have proved to be effective against reptiles. Essential oils high in eugenol, such as cinnamon oil, clove oil, nutmeg oil, basil oil, bay leaves oil, repel snakes from enclosed spaces (house, garage, etc.). Always spray the snakes in the face to force them to go away from you. If you spray them from behind, they will move towards you, which you don’t want. However, remember that these oils can’t stop them from entering, for example, if you spray essential oils on the floor, they won’t create a protective barrier against snakes. You may need to print this informative note from the Wildlife Services if you want to use these oil to deter snakes in your house. A method acclaimed by some and rejected by others, Sulfur is said to repel snakes with its horrible smell (think rotten eggs). While it may (or may not) repulse snakes, it can also burn their skin and irritate them – and I don’t think that you want an irritated venomous snake in your house. Studies made at the Colorado State University determined that sulfur doesn’t work for any type of snake. Whether it will repel snakes with it strong bad smell or not, sulfur will surely turn your stomach inside out when you smell it. So, maybe it’s not such a good idea after all. Imagine your house and yard smelling like rotten eggs. I pass. Had an encounter of the snake kind? How to get rid of snakes around your house without harming yourself and others? If you meet the snake in the garden, slowly back up. Well, running is the safest thing to do, for sure, as it didn’t hurt anyone. Stay at least 6 feet away from it. Did you know that 80% of the snake bites happen when people try to kill or capture it? If it happens in your house, garage, or basement, and you suddenly see in front of you, try to push it with a broom away from you and out of that place. If you can identify the snake and you know for sure that it’s not venomous, then pin its head down with a long stick or brush and grab it by the back of its head (wearing protective gloves) so it won’t bite you (they can still bite you, even if they don’t have poison) and throw it outside, far away from your house and property. Guide it gently into a bucket or bin and then relocate it. ​If you don’t know what type of snake it is (and even if you know the type) and are too scared to do anything about it, you should call a professional snake catcher, 911, or firefighters to deal with it. If you want more information about snakes or you need to identify a type of snake present in your area or you have a snake invasion, check in with your state wildlife agency. However, in the unfortunate event that you have been unexpectedly bitten by a snake immediately call 911, or the American Association of Poison Control Centers (1-800-222-1222), or your doctor for instructions. If your pet has been bitten, call immediately your veterinarian or the Animal Poison Control Center (888-426-4435). You have plenty of methods to choose from in your effort to clear your house and yard of snakes and keep your family, kids, pets, and animals safe. Now you know how to get rid of snakes. Who knows, you might even turn a snake whisperer.